Our students excitedly arrived to an upgraded Nkombe Camp which now has an all new lecture tent and carport! The infamous camp is looking better than ever, still with its rustic character and remains unfenced to all our four-legged visitors! 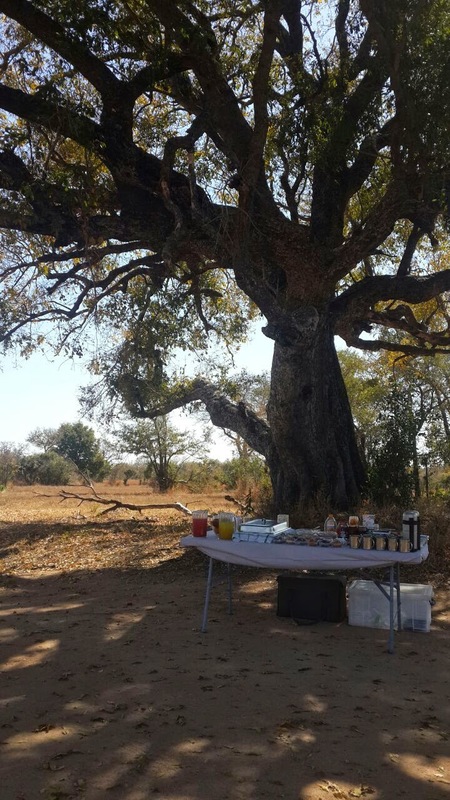 What better way to get settled in than a "sundowner" drive to welcome everyone to the African bushveld? We were immediately visited by an impressive elephant bull kicking up the saplings of a few African Weeping Wattle trees. He then decided to take a closer look at the vehicle as he approached a couple of meters and continued to feed. To view these animals in their natural habitat and to see the natural behaviour is priceless. A couple of "dugga boys" (older buffalo bulls) decided to step onto the scene and graze on the grass nearby. This did not sit too well with the elephant as he raised his posture, spreading out those impressive ears and lifting the shoulders and gave a short chase towards the closest buffalo. The old bull, seemingly unfazed and disinterested, merely turned his back on the elephant and continued feeding. This sort of animal behaviour is an absolute treat to witness! The days have been filled with loads of learning with interesting lectures and the always incredible bush walks every morning as well as some amazing afternoon/night drives. 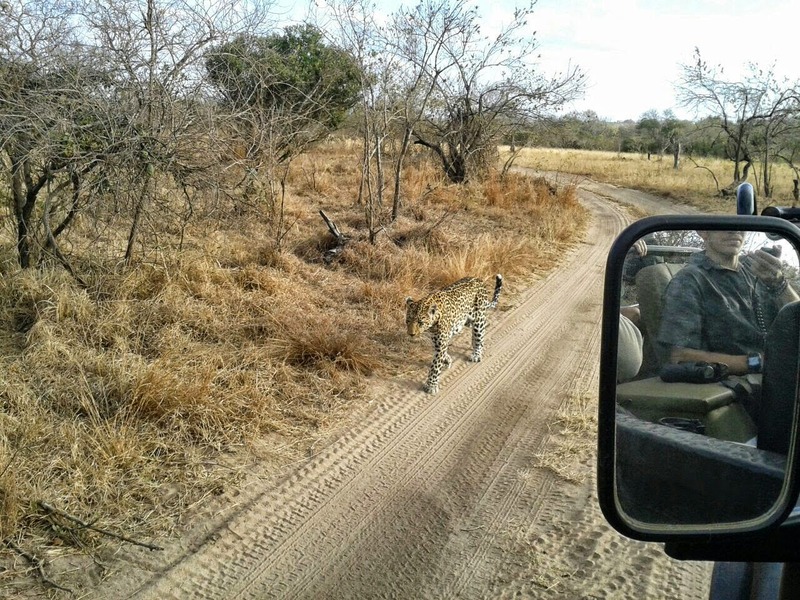 We seem to be having "leopard luck" as we have had two stunning leopard sightings. The first was on our way back to camp one evening when a striking female leopard decided to walk straight in front of our vehicle from the riverbed! We were fortunate enough to follow her as she scanned the darkness for her next potential meal. She then decided to sit and groom herself before heading off into the night. The next morning we stopped to view a couple of Magpie shrikes when the same female appeared out of nowhere and approached us, this time from the front! She walked straight down the road towards us and then passed the vehicle only two meters away from our overwhelmed students. There are no words to explain how special and unforgettable this moment was. It all made sense when we found out that the female had a den with her cub in close proximity to our camp. 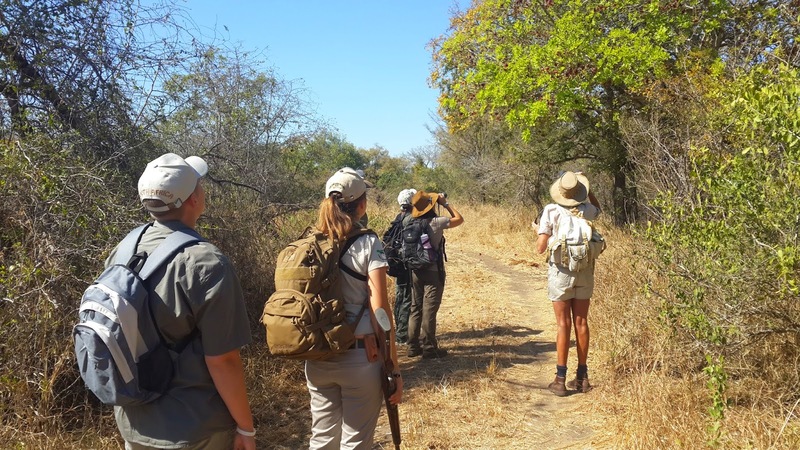 This is why we have been hearing the deep calls of the Kudu and Bushbuck as well as various other alarm calls from squirrels, monkeys and baboon throughout the day. How remarkable! The most shocking encounter yet was on our way back to camp on foot. We had just told the students to stay vigilant even though we are almost at the end of our walk and near camp. We the spotted two "dugga boys" in the distance. The wind as well the terrain were conveniently in our favour so we viewed the animals walking further and further into the distance. 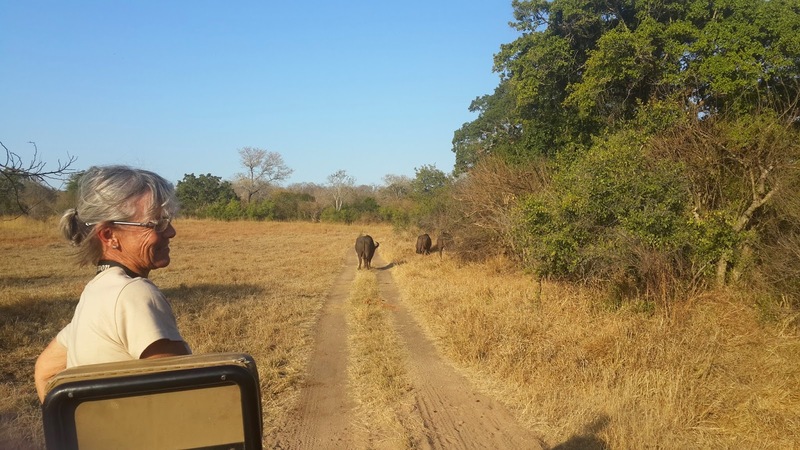 As we were about to continue, we saw what we though was a Warthog about two-hundred meters away. With a quick scan through the binoculars I came to a shock as our "warthog" was indeed a lioness persuing the buffalo! This was reconfirmed by the sound of an aggitated growl... We were picked up by the vehicle and unfortunately the lioness and buffalo had then disappeared. O how beautifully described! Vivid images makes me wish I was there! Thanks ANT for sharing your Blog with us stadsjapies!